Don't Let Smallness and Fear Stop You From Your Dreams! 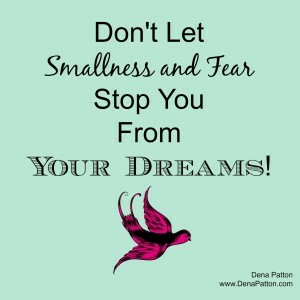 Dena’s Blog: Don’t Let Smallness and Fear Stop You From Your Dreams! Today is simply about your greatness. Do you have days where you find yourself overwhelmed, distracted, confused or frozen? That is the handy work of smallness. It’s job is to keep you small, safe and comfortable so it can keep control over you. It’ job is to keep you from your greatness, purpose, calling and peace. It’s job is to have you believe the little lies that keep us small and scared and it also plants that little voice in our head that reminds us of the negative things about ourselves. But the GREAT news is that it is losing it’s grip on you because you now know it’s little game and now that you know what’s going on, you get to win from now on! See your greatness is the other little voice in your head that says “I was made for more”, “I have purpose”, “I matter”, “I want to do great things”. Let’s evict the smallness voice from our heads and only listen to the greatness voice from now on. Let’s only surround ourselves with the people who support and nurture our greatness and let’s believe that we were made perfectly, flaws and all, so that we can carry those lessons, mistakes and wisdom nuggets to our future and make a difference for others. Lets create businesses, workplaces and homes that are filled with greatness! Let’s raise kids who not only ignite their greatness, but know how to ignite other children’s greatness too. Let’s stand for ourselves and our dreams like we mean it and not let smallness win one. more. time. 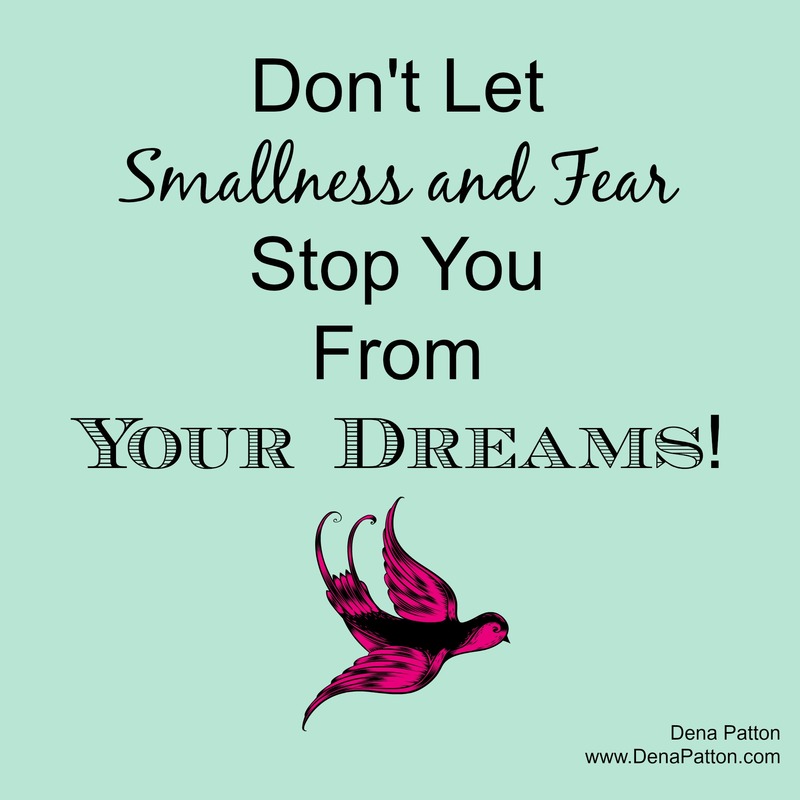 Don’t Let Smallness and Fear Stop You From Your Dreams! Greatness training is one day, one moment at a time. It’s the ‘winning’ over smallness moment to moment as you take babysteps towards your greatness and your great dreams. Smallness WILL try to stop you, let’s be clear it doesn’t want you to win. But you now have a choice to overcome it. Print. Read each morning. Believe. Start over each day. Today I choose my greatness. Today I honor my boundaries & intuition. Today I make healthy choices in all realms of my life. Today I have faith that I CAN. Today I love 100%, nothing less. Today I practice saying no to things that do not serve me. Today I practice saying no to my smallness. Today I own my greatness and I will play big. Today I give myself permission to let my greatest self shine in the world.